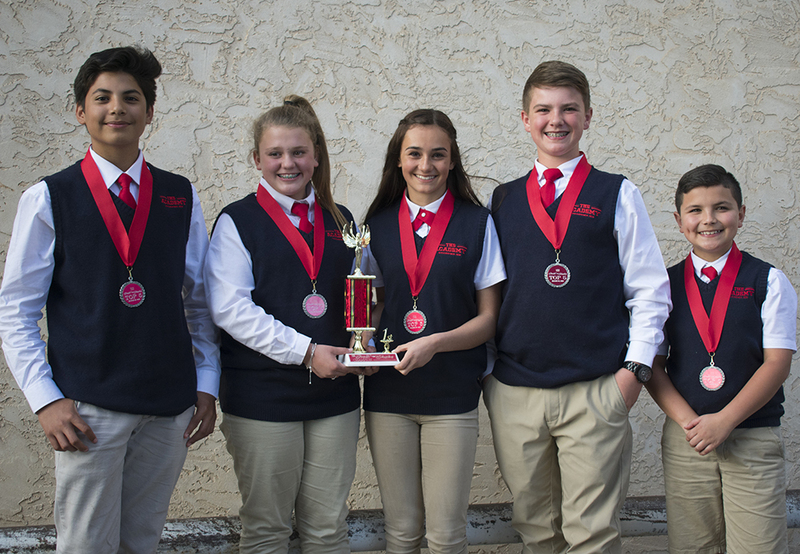 Results of the second annual Coahoma ISD Academy’s Great Shake were so razor-thin it ended with a co-championship on Monday evening. This year’s champions are Brynn Rodgers and Christian Everett. The Great Shake is an all-day event to showcase The Academy students' abilities to greet and communicate with members of the community while exuding confidence, poise and a genuine interest in the individuals they are meeting. The contest is broken up into four rounds, three in the morning and the last in the afternoon when the top five contestants visit various Midland businesses for individual, in-depth interviews. “I liked meeting a lot of new people,” Rodgers said of her favorite part of the contest. The Great Shake began with round one when each student greeted five judges, volunteers from the community, separately and were scored on their effort. The top 50 were chosen to proceed to the second, more difficult round. “We needed to keep good eye contact, do a good firm shake, put your hands to the side of the shirt and make a good smile,” Rodgers explained. After the second round, the top 12 students or in this case the top 14 because of ties advanced to round three which has held at the Big Spring Area Chamber of Commerce. The students sat down for two-minute interviews with area businesspersons Cash Berry, Terry Wegman, Troy Tompkins, and Kandi Alaman. From that round, the top five were chosen and headed to Midland for the rest of the day for the fourth and final round. The students were taken to three Midland businesses — First Capital Bank of Texas, the Rockhounds, and SM Energy — where they sat down individually for an in-depth interview with business representatives. Rodgers said her favorite visit with Jeremy Bishop, Midland market president of First Capital Bank of Texas. Everett said she really enjoyed visiting with Kate Noble and Sean McGuire of SM Energy. “They had a lot of nice people there, and I loved having conversations with them,” she said. At the Rockhounds, the students were treated to a personal interview with Jamie Richardson, assistant General Manager, at the Security Ball Park’s club house. After all the interviews were over, the five students stopped off for ice cream before heading to Lugi’s for dinner with their parents and to hear the final results. 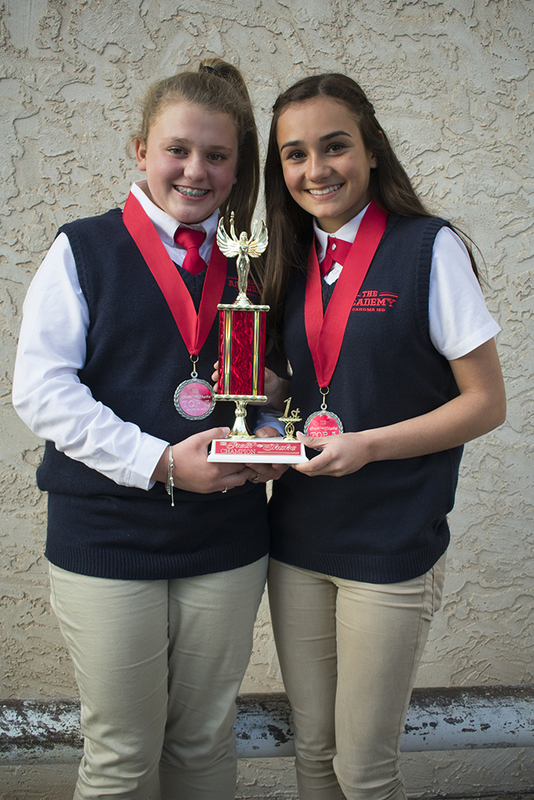 As part of its curriculum, The Academy emphasizes confidence building and a general focus on public speaking. The Great Shake is an opportunity to put those skills in a real world situation. Brynn Rodgers and Christian Everett, the 2019 Great Shake Champions!